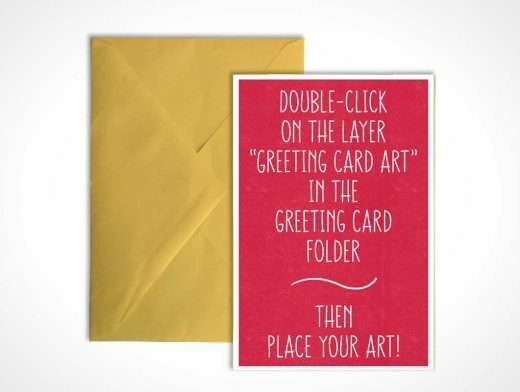 Here’s a free mockup of a greeting card with envelope. Both are created from photographs, so there are some authentic little wrinkles and paper tufts and such on there. Both items are separate and rotatable, and the envelope color can be changed through the color overlay. Two backgrounds are included, but of course, you could always throw your own in there too!